The film places John Cairncross, the Soviet spy and possible ‘Fifth Man’ of the Cambridge spy ring, who was eventually caught in 1951, in Turing’s team. Cairncross was at Bletchley Park, but he was in a different section breaking a different cipher entirely. Turing’s biographer, Andrew Hodges, has said that it was ‘ludicrous’ to imagine that the two would even have met given that security was far too tight to allow it. In the film, Turing works out that Cairncross is a spy, but Cairncross threatens to expose his sexuality, ‘If you tell him my secret, I’ll tell him yours’. The blackmail works as Turing covers up for the spy, for a while at least. This is wholly imaginary since concealing a spy would have been an extremely serious matter. It could amount to treason, and it of course slanders the real Alan Turing’s reputation. 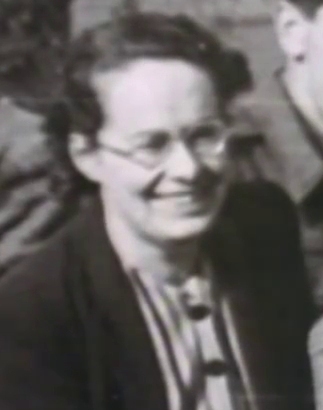 Joan Clarke was recruited by Welchman in June 1940 to work in Hut 8 at Bletchley Park as a cryptanalyst under Turing. They became very good friends and Turing would arrange their shifts so they would be working together, and they also spent a lot of their free time together. Despite their becoming engaged in 1941 and Turing then breaking up with Clarke, they remained close friends right up until Turing’s death in 1954. She became deputy head of Hut 8 in 1944 but was paid less than the men. Joan Clarke was not recruited by a crossword competition. The Telegraph newspaper did organise a competition to complete their crossword in less than twelve minutes, and successful contestants were then approached for a job at Bletchley. The scene in which the brilliant Cambridge mathematician Joan Clarke is snubbed and refused entry to a supposedly top-secret codebreaker’s examination because she is female, is entirely invented. How could anyone be in a top-secret building for a top-secret examination unless they had been invited, and how could the person in charge not know that one of the examinees was female? Very early on in the film, Turing is shown an Enigma machine, and he mutters about ‘five rotors’. At that time the machine had only three rotors, and this would have been obvious to Turing. Two more rotors were introduced by the Germans later on in order to enhance security. Turing also says that German operators of the Enigma machine had to choose five random letters to include at the start of messages to be enciphered, when in fact the procedure was to choose three, which were then transmitted twice. The detailed workings of the Enigma machine are explained here. To break the Enigma messages, the cryptanalysts at Bletchley Park exploited some fundamental weaknesses of the machine, such as that a letter could never be replaced, that is encrypted, to itself. You read how this was done here. Before sending a radio message, the operator of the Enigma machine (above left) set the order of three rotors at the back – which moved round a notch each time a letter was pressed – plus the positions of the wired plugs in the board at the front, both of which were changed each day. When the operator then pressed a letter in the typewriter, it would travel through all this internal wiring, and a lamp would light up in the plug board behind it indicating the replacement letter to use. By 1941, German submarines were using four rotors and ten leads for the plugboard which meant that the number of different ways that pairs of letters could be interchanged was 1.8×1020 (1.8 followed by 20 zeros). The British Bombe (above right) designed by Alan Turing and Gordon Welchman aimed to find the daily settings of the Enigma machines: which rotors were used, their order, and their start positions for the message; the message key, and the wirings of the plugboard. Using ‘cribs’, a section of plaintext that was thought to correspond to the ciphertext, a ‘menu’ was produce by a cryptanalyst for wiring up the bombe to test the crib against the ciphertext. Finding cribs was difficult. It required considerable familiarity with German military jargon and the communication habits of the operators. It took about 20 minutes for the machine to run through all 17,576 possible positions for just one rotor order. Each bombe weighed a ton, and more than two hundred bombes were in operation by the end of the war located at various outstations throughout the UK. In the film, Turing designs and builds the Bombe, the code-breaking machine, and it is suggested that it is Turing’s computer. It was not a computer but an electro-mechanical machine first designed by Polish mathematicians in 1938 when it was called ‘bomba kryptologiczna’, the bomba part named after an ice-cream dish served at a Warsaw café. In practice a series of them, not just one, were connected and they worked in tandem. The British Bombe was actually supplied already built by the British Tabulating Co in March 1940 though to a complete re-design by Turing with some enhancements by Welchman. It was much more powerful and reliable than the Polish machines. The idea of the machine having diagonal connections was Welchman’s not Turing’s. Although the film implies otherwise, Turing knew exactly what the Bombe would do and how to use it. Hugh Alexander is shown trying to attack the Bombe, though in reality nothing like this ever happened. The detailed workings of the British Bombe are explained here. Colossus was used against the German system of teleprinter encryption known at Bletchley Park as ‘Tunny’. The early models of Colossus built by Tommy Flowers had about 1,600 vacuum valves and operated at 5,000 characters per second. Until the 1970s few had any idea that electronic computation had been used successfully during the Second World War. The photo shows Colossus and two operators from the Women’s Royal Naval Service, Dorothy Du Boisson (left) and Elsie Booker. A much more important decrypting machine however came into use at Bletchley Park in 1942, but this is not mentioned in the film. Given it’s significance, some explanation is called for. Called Colossus, it was the world’s first digital program-controlled electronic computer, though there are other contenders for the title. Colossus was designed to break ciphers generated by the German Lorenz SZ 40 machine, which were much more secure than those of the Enigma machine. Messages from this machine, which was only used for messages from Hitler and the German High Command to their army field commanders, started to appear in 1941. A Lorenz machine was attached to each teleprinter in the army command posts across Nazi-occupied Europe. Incoming and outgoing messages to and from the teleprinter were routed via the machine. Each character in teleprinter form was a pattern of five pulses and pauses, and the machine automatically encrypted or decrypted the characters in the message in the same form. The ‘ciphertext’ was never seen by the German operators and it was transmitted automatically. Enigma was clumsy by comparison. Brigadier John Tiltman, another cryptanalyst at Bletchley Park, identified the basis of how these teleprinter messages, nicknamed Tunny, were enciphered. 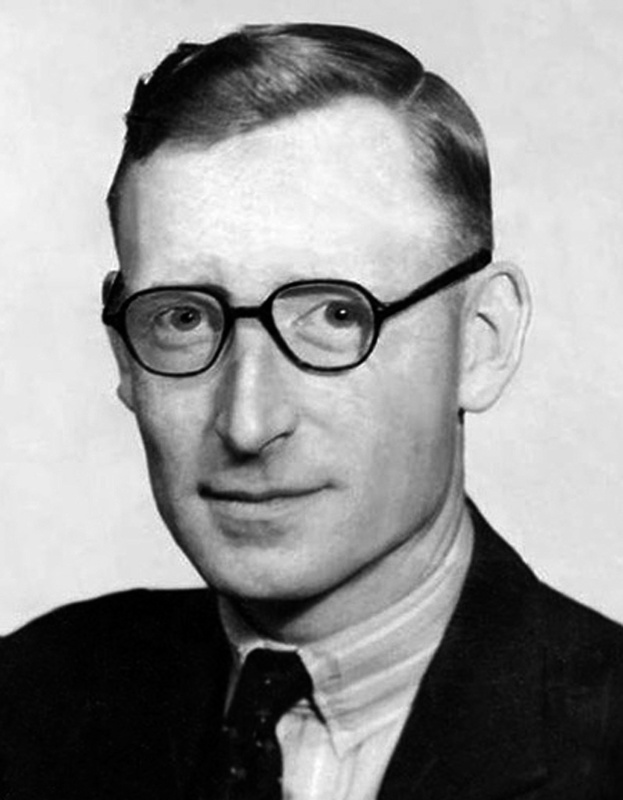 Then a young Cambridge graduate called Bill Tutte, who had been rejected by Turing because he felt that Tutte would not fit in with the Enigma team, worked out the logical structure of the machine by Spring 1942, a feat which can be likened in importance to Turing’s earlier work on Enigma. At first the messages had to be deciphered by hand, which took days and the decrypt was by then out of date. An experimental deciphering Heath-Robinson machine was built by Max Newman, the head of one of the Tunny-breaking sections (Newman had lectured Turing in 1935, which launched Turing on the research that led to the ‘universal Turing machine’). Although the machine was slow and unreliable, it proved that ‘tunny’ could be broken. But Tommy Flowers, a senior engineer at the Post Office Research Station at Dollis Hill who doubted that the Heath-Robinson would ever work properly, presented Newman in February 1943 with the alternative of a fully electronic machine. Flowers’ suggestion was received with ‘incredulity’ at Bletchley Park. It was believed that the thousands of valves that it would require would make it too unreliable and that the war would be over before Flowers’ machine was finished. Newman therefore pressed ahead with a re-design of his Heath-Robinson machine. Meanwhile Flowers started building Colossus at Dollis Hill using his own money. As he said later he did it ‘without the concurrence of Bletchley Park’ and they ‘weren’t interested until they saw it [Colossus] working’. Tommy Flowers (22 December 1905–28 October 1998) built the first Colossus machine at the Post Office Research Station at Dollis Hill in London. It was dismantled and delivered to Bletchley Park on 18 January 1944, and was then reassembled. Colossus attacked its first tunny message on 5 February. Flowers noted in his diary, ‘Colossus did its first job. Car broke down on way home’. The first machine was delivered to Bletchley Park in January 1944. 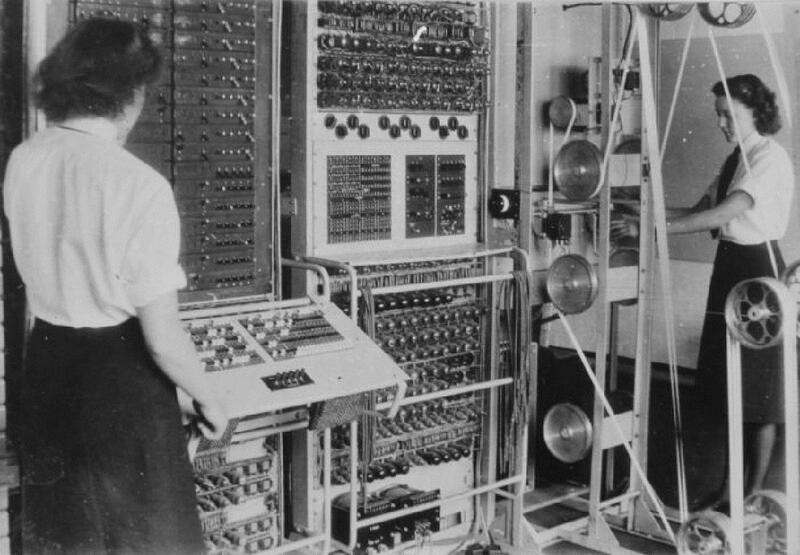 Flowers eventually built nine more Colossus machines, and as a result, Bletchley Park deciphered 90% of the Tunny traffic intercepted in the last two years of the war. When the war ended, because Colossus was regarded as so secret, Flowers was not allowed to mention its existence, and he could not get funding for further work. He had no proof that he had developed anything. For his pains, Flowers was given £1,000 in recompense for his outlay in building Colossus, which he divided among his team at Dollis Hill. Although the volume of intelligence derived from Lorenz was much smaller than that from Enigma, it was much more important because it produced strategic intelligence. Although Turing had introduced the Tunny team to Flowers and his use of probability in cryptanalysis contributed to what Colossus needed to do, contrary to some accounts, Turing was not involved in the building and development of Colossus. He was in any case away in the United States during the critical period at the beginning of 1943 when Flowers proposed his idea to Newman and worked out the design of Colossus on paper. As a 1945 report on Tunny stated, ‘Colossus was entirely the idea of Mr. Flowers’. A detailed history of Colossus can be read here. As a result of Colossus, Britain was able to read the messages of the German High Command, in many cases at the same time as the enemy, and sometimes before them. The impact of these decrypts, which were part of Ultra, on the outcome of the war was profound. Whilst The Imitation Game was essentially about Alan Turing, and the Enigma and Bombe machines, it is disappointing that there was no mention at all about Colossus, and Tutte and Flowers. The film shows Turing writing a letter to Churchill in 1941 in order to gain control over the breaking of Enigma and to obtain funding for the decryption machine. In fact, Turing never sought to control the codebreaking, it was a lack of funding for more staff and more bombes that were the concerns. The real letter was signed not just by Turing but by three other senior cryptanalysts, Welchman, Alexander, and Stuart Milner-Barry, though it was written over Denniston’s head. Churchill immediately wrote a memo to General Ismay which read ‘ACTION THIS DAY. Make sure they have all they want on extreme priority and report to me that this has been done’. Almost straightaway, as Milner-Barry later recalled ‘the rough ways began miraculously to be made smooth’. In February 1942, Denniston was transferred elsewhere, and Commander Edward Travis, Denniston’s deputy, took over and re-organised Bletchley. The film has a scene with a chart on the wall in Hut 8 showing the latest positions of all Atlantic convoys. The Hut 8 team decides not to use the decoded messages to stop a German raid on a convoy that the brother of one of team, Hilton, is serving on, in order to hide the fact they have broken the Enigma code. This is all entirely invented. Firstly, the naval charts would have been in the map room of the Navy’s command centre in Liverpool that was as closely guarded as Bletchley Park, as were the army and air command centres elsewhere. Turing’s team had no input into how Ultra information was to be used. The decrypted messages were passed to MI6, which operated Special Liaison Units (SLU) attached to major army and air force commands, though highly important messages were sent directly to Churchill, usually with a covering note from Menzies. The SLUs disseminated the Ultra intelligence to field commanders. Information of interest to the navy was in the early days passed to the Operational Intelligence Centre of the Admiralty. The SLUs were supervised on behalf of MI6 by Group Captain Frederick Winterbotham, the author of The Ultra Secret in 1974. It is true however that the sources of Ultra intelligence had to be safeguarded to avoid the Axis command realising that their ciphers had been broken. For example ‘spotter’ planes and submarine patrols were sent out to ‘search’ for Axis ships. When the spotter’s radio transmissions were observed by the Axis forces, they concluded their ships were being found by conventional reconnaissance. This lead the Axis to believe the Allies had far greater numbers of submarines and reconnaissance aircraft than they actually had. Other search missions would be sent out to other areas, so that crews would not begin to wonder why a single mission found the Axis ships every time. On more than one occasion Churchill made the decision over the use of Ultra where no other sources of intelligence were available. Though in real life Hilton had no brother, the film did illustrate a real enough example of the quandary that users of Ultra could be placed in. The plot in the final section of the film rests on a fictional Detective Nock (Rory Kinnear) pursuing Turing because he suspects him of being another Soviet spy, and he accidentally uncovers his homosexuality in the process. In real life, Turing himself reported a petty theft to the police, but changed details of his story to cover up the relationship he was having with the possible culprit, Arnold Murray. The police did not suspect him of espionage, and Turing would never have disclosed even the existence of Bletchley Park to a detective. As a result of his conviction, Turing’s security clearance was removed and he was barred from his cryptographic consultancy for the Government Communications Headquarters (GCHQ), the British signals intelligence agency that had evolved from GC&CS. He was also denied entry into the United States. He was of course prevented by the Official Secrets Act from discussing his work at Bletchley Park. The first bombe used to decipher Enigma messages was called Victory, not Christopher as in the film. Unlike in the film, Turing proposed to Clarke not to help her escape from overbearing parents, but because they liked each other. According to Hodges, when Turing ended the engagement, ‘it was neither a happy nor an easy decision, but it wasn’t the ultimately violent confrontation depicted in The Imitation Game, either’. The final scene, in which Clarke visits Turing during his probation, is invented. Turing is also shown as interacting with Stewart Menzies, head of the British Secret Intelligence Service (also known as MI6) who also had responsibility for Bletchley Park, first of all in a tea shop and then in Joan Clarke’s flat. There is no record of Menzies and Turing having met during Turing’s time at Bletchley Park. Despite the scene showing military police rifling through his desk at Bletchley Park, there is no evidence that the military police had anything to do with Turing either during the war or in the post war period. Detective Nock was fictional. In reality, there were two detectives, Mr Wills and Mr Rimmer. Incidentally Nock uses Tipp-Ex in the film, although it didn’t exist until 1959. At the end of the film, the team make a big bonfire at Bletchley Park and all the documents were burnt on Churchill’s orders, although in reality Turing had left Bletchley Park by then. He had spent five months in the United States in 1942/3, and by 1943 he was a general consultant for cryptanalysis at Bletchley Park. At the end of the film, it claims that work done at Bletchley Park was kept secret for 50 years, that is until 1995. In fact, the first major revelations about Bletchley Park were as mentioned above in Frederick Winterbotham’s book The Ultra Secret published in 1974. There seems no reason to exaggerate the lapse of time? Whilst the film was very well received by most reviewers, which is reflected in the Oscar nominations, some newspaper critics didn’t agree. Tim Robey of the Telegraph says the film is ‘about a human calculator which feels … a little too calculated. It is a diligent mid-century biopic, with cookie-cutter screenwriting and a lacquered, nominate-me-for-everything sheen, that manages to feel like a series of stories we’ve heard before, following the familiar contours of other films as if with tracing paper’. Alex von Tunzelmann of the Guardian said that historically The Imitation Game is as much of a garbled mess as a heap of unbroken code. For its appalling suggestion that Alan Turing might have covered up for a Soviet spy, the film ‘must be sent straight to the bottom of the class’. In response to criticism of the historical inaccuracies in the film, the screenwriter Graham Moore argued that The Imitation Game merely shows the ‘natural conflict of people working extremely hard under unimaginable pressure’ and he paid tribute to Denniston as being ‘one of the great heroes of Bletchley Park’. In an open letter to ‘Her Majesty’s Government’ published in a number of newspapers at the end of January 2015, the signatories which include Benedict Cumberbatch, Stephen Fry, Peter Tatchell, the director of The Imitation Game, Morten Tyldum, and Turing’s niece, Rachel Barnes, urge the British government to pardon thousands of gay men convicted of gross indecency. Their argument is that as British Prime Minister Gordon Brown made an official public apology in 2009 on behalf of the British government for ‘the appalling way in he [Turing] was treated’, and Queen Elizabeth II granted Turing a posthumous pardon in 2013, then all those who were convicted of a crime because of their sexuality should be pardoned, an act that could wipe clean the records of 15,000 men still alive. 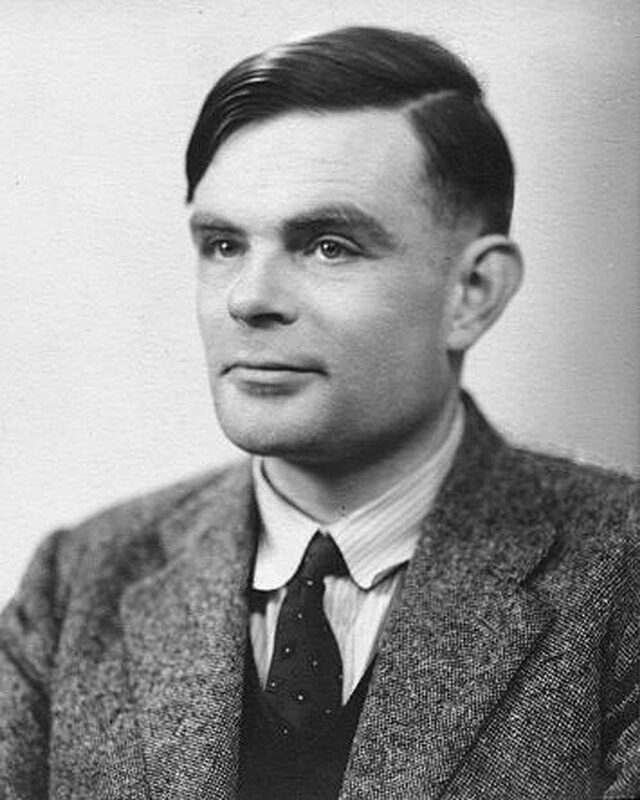 The letter states ‘Alan Turing was one of the greatest heroes of the twentieth century, a man whose work on the machines that deciphered the Enigma codes helped win World War II and who was pivotal in the development of modern computers. Winston Churchill said Alan Turing ‘made the single biggest contribution to the Allied victory in World War II’ ‘. Although a number of sources attribute this statement to Winston Churchill, both The Churchill Centre and Turing’s biographer, Andrew Hodges, have said they know of no documentary evidence to support this claim or of the date or context in which Churchill supposedly said it, but perhaps this is being uncharitable. Did Bletchley Park Shorten the War? 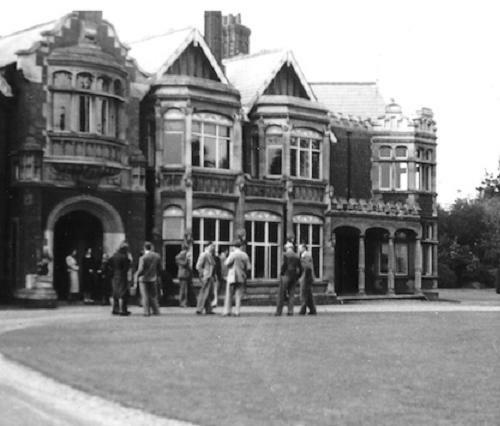 Certainly it has been claimed that the work at Bletchley Park, and particularly the influence of Ultra, dramatically shortened the war in Europe, and that Turing’s pivotal role in cracking intercepted coded messages enabled the Allies to defeat the Nazis in many crucial engagements, including the Battle of the Atlantic. But the actual assessments, whether from primary sources or by wartime leaders, military analysts or historians, are much less definitive. Winston Churchill was reported to have told King George VI, when presenting Stewart Menzies to him ‘it is thanks to [Ultra] … put into use on all the fronts, that we won the war’. Winterbotham quoted the western Supreme Allied Commander, Dwight D Eisenhower, at the end of the war, as describing Ultra as having been ‘decisive’ to Allied victory, though Eisenhower in his letter to Menzies in July 1945 says less precisely that the intelligence coming from Bletchley Park ‘saved thousands of British and American lives and, in no small way, contributed to the speed with which the enemy was routed and eventually forced to surrender’. When the intelligence services reluctantly agreed to allow Frederick Winterbotham to publish his book The Ultra Secret in 1974, permission was given to Harry Hinsley to publish his five-volume British Intelligence in the Second World War (1979-1990). 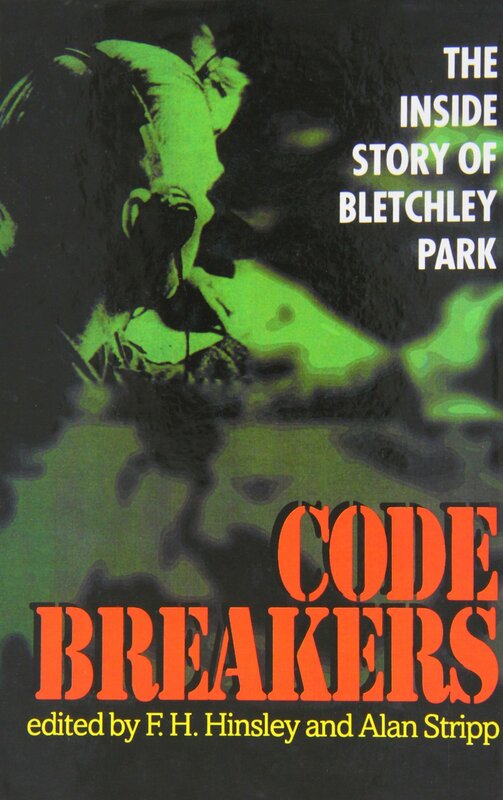 In 1993 he published Codebreakers: the Inside Story of Bletchley Park, which added a vast amount of detail that had been excluded from the official account up until then. 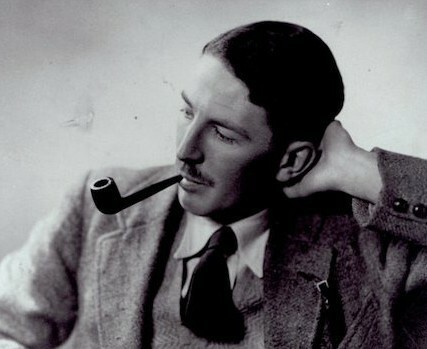 Harry Hinsley, who was the leading expert on the decryption and analysis of German wireless traffic at Bletchley Park and the official historian of British Intelligence in the Second World War, is often quoted as saying that Ultra shortened the war ‘by not less than two years and probably by four years’. However in his book Codebreakers: the Inside Story of Bletchley Park he just says that ‘historians who are concerned only with the war as it was must ask why it went as it did, and they need venture only a reasonable distance beyond the facts to recognise the extent to which the explanation lies in the influence of Ultra’. 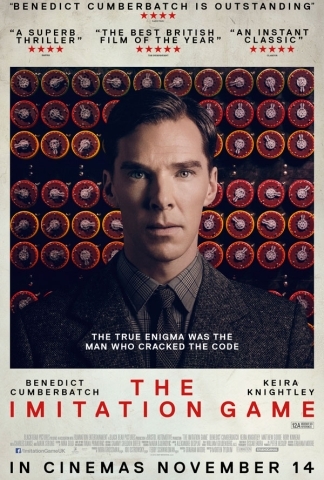 The film suggests that the code-breaking work at Bletchley Park was the effort of a small group of cryptographers who were stymied in the first years of the war until Turing suddenly came up with a breakthrough that allowed them to break Enigma. Progress was actually made right from the beginning of the war in 1939 and thousands of people were working on the project within a few years. There should be no question in anyone’s mind that Turing’s work was the biggest factor in Hut 8’s success. In the early days he was the only cryptographer who thought the problem worth tackling and not only was he primarily responsible for the main theoretical work within the Hut, but he also shared with Welchman and Keen the chief credit for the Bombe. It is always difficult to say that anyone is absolutely indispensable but if anyone was indispensable to Hut 8 it was Turing. 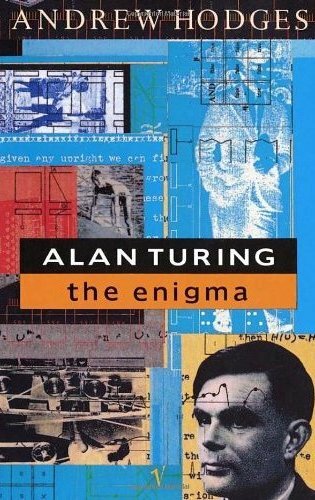 The pioneer’s work always tends to be forgotten when experience and routine later make everything seem easy and many of us in Hut 8 felt that the magnitude of Turing’s contribution was never fully realised by the outside world. You can read more about Turing’s role at Bletchley Park and his wider influence in the development of computers here. Surely Alan Turing’s life is compelling enough without film makers having to exaggerate his influence even further by re-inventing history. Jerry Roberts, one of the four original members of the unit at Bletchley Park who were given the task of decrypting Tunny, has said ‘I say there were three heroes at Bletchley – you can’t really put one above the others. Tommy Flowers founded the computer age we live in. Without Turing we’d all be speaking German by now, and Bill Tutte … we’ll he was a forgotten hero’. Biopics have a useful role as the most popular way to find out about a subject. Isn’t it better to get to know more about Alan Turing no matter how many details The Imitation Game gets wrong? But more than 10,000 people were employed at Bletchley Park towards the end of the war working on a huge variety of enemy codes. At one point over 4,000 messages were being decrypted each day. There were many brilliant people there. Their work was extremely complex and challenging beyond our understanding. Alan Turing played a pivotal role in the eventual winning of the war, but there were other giants as well. I feel that way in which Turing was portrayed in The Imitation Game may lead many filmgoers into believing that he single-handedly swung the war in our favour. Turing was much more than the hero of a film. The real story can be found in Hodges’s biography. The Imitation Game was awarded one Oscar: Graham Moore for best adapted screenplay! Here is another post about the misuse of history. Having just seen the movie, this was great to read. Movies are all about pacing though, so a lot of stuff has to be omitted. The inaccuracies are not so forgiveable. The director Morten Tyldum also did the excellent Headhunters; he really knows how to tell a story.